Week four was ugly. 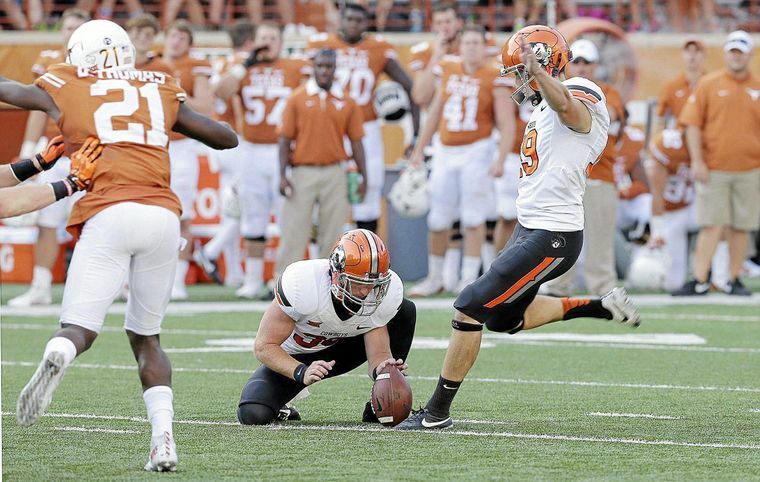 Oklahoma State played to lose and still beat Texas down in Austin. TCU survived the scare of a lifetime from Texas Tech, of course if you ask a Red Raider fan, TCU stole the game from the Raiders. Baylor and West Virginia managed to beat up on two cupcakes, but WVU’s was more impressive to me. Maryland is at least a Power 5 opponent. Kansas was Kansas and lost to Rutgers on the road. This week is quite intriguing. First, West Virginia is in Norman to play Oklahoma in arguably the Big 12 Game of the Week. The Mountaineers’ offense has been impressive this season, while I still don’t know what to think of OU. I’m sold on Baker Mayfield. He’s clearly a great fit at quarterback for the Sooners. However, I’m still conflicted about the rest of the team. This will be a great chance to see what Oklahoma is made of. Kansas State will be in Stillwater on Saturday to open its Big 12 schedule at Oklahoma State. The Cowboys are coming off a disgusting performance on the part of the entire offense. K-State’s front seven will be the best OSU has faced yet, possibly the best this season if TCU doesn’t recover. The Pokes will need to carry out a balanced attack against the Wildcats, but expect this game to play out like the 2013 game, also in Stillwater. I’m not sold on Baylor. Yes, they score in tons but they haven’t played anybody. I know it seems as if everybody thinks Baylor could be God’s gift to football, but I fully expect them to lose this week. Texas Tech has proved that they can hang with anyone.